We have sourced some of the finest wines from Chile, South Africa, California, and Australia for this luxurious wine gift hamper. 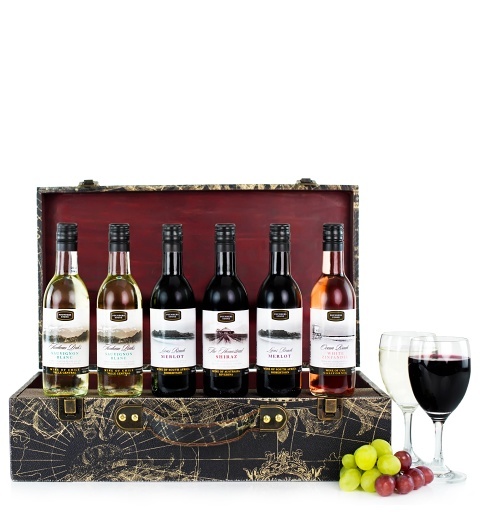 With Sauvignon Blanc, White Zinfandel, a rich Merlot, and Shiraz, this 6-bottle wine hamper caters to all wine preferences and tastes. Beautifully packaged in an elegant black and silver suitcase, send this Christmas gift to all your wine lover friends and family!